Should boaters, powered and non, be required to wear a life jacket at all times? There are many camps and opinions about life jacket laws. Will too many laws take away individual freedom? Will too few continue to see a rise in deaths? Here is something to think about. On September 1, 1985 the State of Texas started enforcing a new law that requires car drivers and passengers to wear a seat belt or face a fine. In fact, Texas has the largest fine of all states at $200 per person not belted. Some other states like Wyoming let you off for just $25. It is a fined offense in every state and has been for almost 20 years. Now, most folks don’t think anything of it but 30 years ago, you heard about it a lot. I can still remember the groans of the adults about having to ride in a car wearing a seat belt. If they didn't want to, they shouldn't have to. So did it make a difference? According to the National Highway Traffic Safety Administration, since seat belt laws have been placed in states, the number of serious injuries and deaths have dropped almost 50%. So what does that have to do with Personal Flotation Devices (life jackets) and kayak fishing? Each month we hear of people that die while kayaking. Frequently those people were not wearing a PFD. I can't tell you how many times I hear the question, "It's really hot! Do I HAVE to wear my life jacket?" This is usually followed up by a bold declaration of "I'm a good swimmer." I hate that. I know people can swim but what can you do in a state of shock, tangled in a trot line, in really rough water or with no one around? Unfortunately in 2007, 107 people didn't get to answer that question. They perished during canoeing and kayaking outings according to the US Coast Guard. The USCG has also stated that 90% of these people were not wearing a PFD. What if 96 people could go home at the end of the day instead of their next of kin getting the worst news of their lives? Wouldn't it be worth it? Those are the last words spoken by many victims. They are also spoken by "tough guys" everywhere. Please, you are not immune to drowning. Your family wants to see you again. Don't risk it. Maybe we are at the point that if a vessel is underway, whether human powered or other, you are required by law to be wearing a life jacket. That will help some. It won’t fix all of it but a life jacket isn't called a super comfy, lighter than air, good time jacket; it’s called a life jacket because it can save your life. Sometimes you just have to learn to embrace it. If you hate wearing a life jacket, ask yourself why. Is it uncomfortable? They make PFDs that are suited for paddling fishermen. Is it hot? They make inflatable ones that you will barely even notice. Excuses are like ...well, you know the saying. If 90% of the people that drown in kayaking incidents weren't wearing PFDs, what does that say? To me it says you stand a better chance of survival while wearing one. Maybe we need a new law. Maybe we don’t but the number of people drowning while kayaking is going up, not down. Some sort of action has to be taken. Education can help but this is more of an attitude thing with most folks. Excuses abound for not wearing it. The same thing happened in the 80s and 90s when these seat belt laws started being passed but they had an effect. 50% fewer serious injuries and deaths would be a great start. I can’t tell you what to do, and right now, in Texas at least, you are only required to have a PFD on board for each person. On board doesn't float you if you fall out into cold water. On board doesn't bring you to the top for rescue if you are knocked out. On board isn't a life jacket; it’s a seat cushion. On your person is what I think it should be. I know I’m not alone but I also know it’s not always a popular thought. Do you think more laws are necessary? How do we prevent more drowning? Not sure why, but since I first got into a kayak in 2007, I have yet not put on a PFD of some sort. In 2007 I was 47 years old and grew up on or near lakes, creeks and rivers, and had previously been a powerboater since before I can remember. That 1st time in a kayak was the 1st time I wore a pfd. Even in shallow bodies of water I am still wearing the PFD. For a while I was wearing a belt style, inflatable PFD that sometimes didn't show up in pictures that I had taken of myself holding fish. After a few comments of why wasn't I being safe and wearing some sort of floatation device, I decided to only wear a PFD that was noticeable and could be clearly seen. Since people are shot during hunting season I suggest we wear ballistics vests and helmets similar to those used by the military while hunting. Also, everyone should be required to wear PDFs while swimming or recreating near any body of water. So, where do we stop legislating personal choice? I understand your point. And I don't feel like a law is the answer after a lot of discussion today. Couldn't the inverse be asked when do we stop using public servants to search for the bodies when they disappear? I wear mine 100% of the time I'm on my kayak or friends powerboat. But, I believe that if you don't want to wear it, you shouldn't be made to. Just like motorcycle helmets. Mike, how do you feel about seat belts? I guess I feel like our laws are a bit two faced. You have some protection in a car but are required to be strapped into it however, on a crotch rocket going 130mph you can go without a helmet. What it seems to boil down to for me is that Mother Nature wins more than she loses and people who bet against it will eventually lose. And why? Because it's hot? It's uncomfortable? Ego? Arrogance?Freed om is great but at some point people have to put aside the ego and just wear it. Unfortunately learning the hard way often means losing your life. I'm not as much interested in protecting the arrogant as protecting their families from dealing with tragedy. I feel the same about seat belts. I never put my car in gear without mine, but if you want to not wear one, that should be your right/freedom. So, what if the government decided that watercraft were just too dangerous and for your own good, they were now illegal? Same thing. My life, my choice. I choose to wear seat belts, helmets and PFD's. But don't tell me I have to! I am pretty sure that's where I am sitting on the subject. I'll have to continue to push to do more and more education. A law might help but it might do as much harm. Thanks for your candor Mike! It helps to have real discussions. As someone who works in Public safety I too believe that everyone should do everything in their power to protect themselves, but I don't think legislation is the way to go about it. Unfortunately people are going to do what they want regardless of what the law is, and having a law, I believe may open the door to more stringent laws that may be unnecessary. I'm 100% against any legislation, there is already to much crap that has been passed. And I'm glad I live in a state where I don't have to wear a seatbelt, helmet, or life jacket. That being said I do wear all 3 and make sure my kids do as well. education is the answer and articles like this one are what we need to raise awareness. I think people should not be forced to wear PFD's but it should be like the military. You are told you should wear your PFD and we will not be responsible for your medical costs should you have an accident and not be wearing one. Would also help cull the population. I see the problem as we live in a nation that is replacing common sense and good judgement with regulation and legisltion. As an adult I should decide whether or not I wish to wear a pfd or not. This holds true for all personal safety gear/equipment. Personally I wear my pfd. I've done my research and have decided that wearing a pfd is a good idea. As far as children, the parents should make this choice. I wouldn't exactly give the whole statistic of 50% less injuries just to seat belts. Cars and safety features in them have come a long way since '85. The seat belt, with the exception of the shoulder strap hasn't changed much. Education would be a better answer. Those who are unwilling to educate probably wouldn't follow the law anyways. Legislation is no replacement for intelligence. With that said I wear one, it's a small in convience for what it offers. I wear mine in my Kayak if I'm going to be in Deep water, If I'm fishing the flats, I have it with me to show the MAN if he comes by checking! 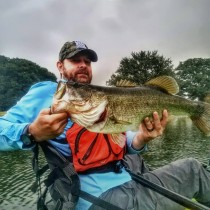 I wear my PFD 100% of the time while on my kayak fishing or paddling. On a power boat i have never worn one unless in dangerous situations. I dont feel laws should be made because of bad personal decisions.